This review was first posted on Music, Books and TeaI have been anticipating this book ever since I finished reading Clockwork Angel in 2010. Cassandra Clare is one of my favourite authors, and I absolutely love her Infernal Devices series, so I have been desperately waiting for this book and luckily enough, I received it this past Christmas. 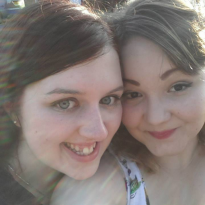 Happy Hollie, haha!What worked for me: Absolutely everything. I loved the development all the characters went through, and that we got to see more of Charlotte and Henry too. The plot had so many twists and turns, yet I just could not stop reading it! Also, just to get this out in the open, I am now a firm, firm member of Team Jem. There's one particular scene that I ended up reading three times because I could not get enough of it. I absolutely adored his and Tessa's relationship, and I really, really hope that this continues in the next installment of this series or my heart may just possibly break into tiny little pieces. Also, I think Tessa has really come into her own in this book, and, if we're to compare Clary and Tessa, I prefer Tessa. I just think she's got more spark about her. (Not to say that I don't love Clary, because I do). I liked the twist that came about her heritage, and that it was left to be solved in the next installment of the series.What didn't work for me: At the risk of sounding awfully lame, the fact that Clockwork Princess doesn't come out until the latter end of this year. 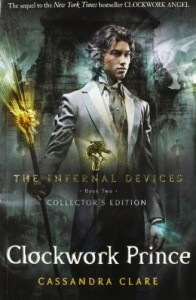 This has been a highly anticipated release for every Cassandra Clare fan, and for me, this really did not disappoint.